Are you studying Hindi? Are you trying to teach the Hindi alphabet to your kids? Do you love Bollywood movies? 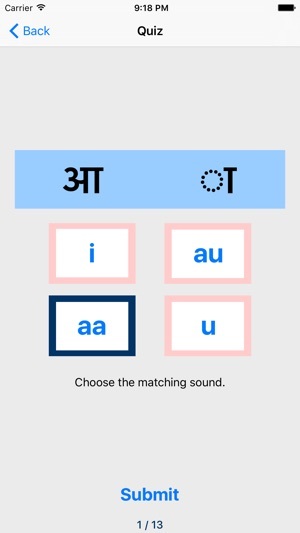 This app will help you getting started in Hindi by introducing you to the Hindi Vowels. See the vowels written, hear the pronunciation, and try writing them yourself in Devanagari (Hindi script). See how the vowels are written at the word beginning and in the middle of a word. Includes example words, with image and pronunciation, for each letter. Take a test to see how much you remember! Improve your retention by playing a quick memory (matching) game! For kids and adults. 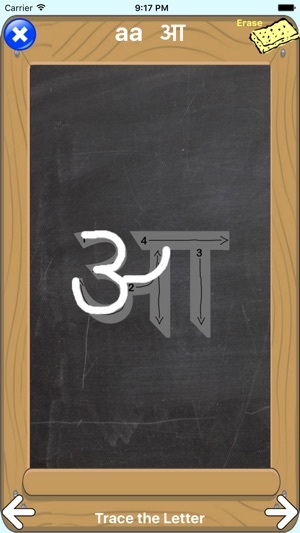 A fun way to get started to read and write Devanagari. 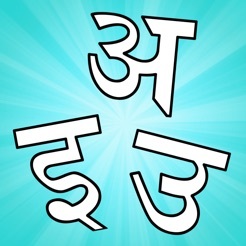 To practice all letters, check out our app "Hindi Letters - Script and Pronunciation". Has great audio and gives good instructions with the steps of writing the letter in the right way. More quizzes please Thank you! Very systematic and easy to follow! 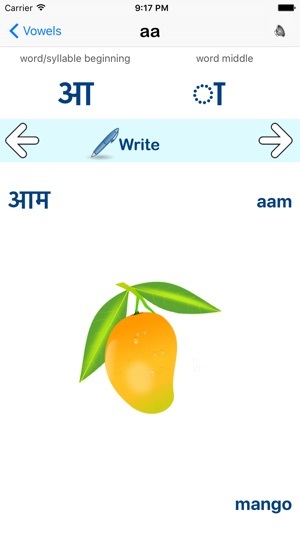 This is a great App for beginners who are looking to learn Hindi, especially for young children. My 4 year old loves to play the memory game on this app and my 7 year old enjoys the quiz part. My kids repeat after the vowels and they like to match their sounds with the app recording. 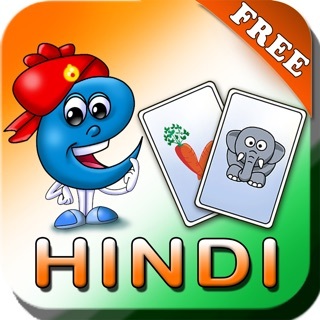 I would highly recommend this app to every one who wants to start learning Hindi language the correct way.